NutraIngredients has named OptiBiotix revolutionary cholesterol management product, CholBiome®X3, as a finalist in the ‘Best Probiotic Product of The Year’ category of the 2019 awards. 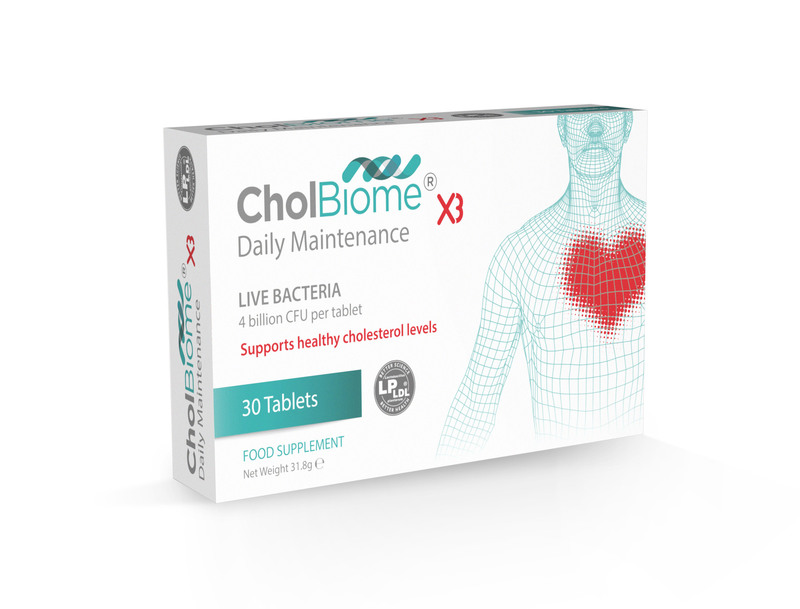 Harnessing the power of the patented probiotic Lactobacillus plantarum LPLDL®, backed by extensive award-winning science and using platforms based on pharmaceutical approaches, CholBiomeX3 is an ideal way to regulate cholesterol levels and promote heart health. It combines three key natural ingredients – LPLDL, Vitamin B3 and red yeast rice rich in Monacolin K to help reduce cholesterol levels, promote heart wellness and reduce blood pressure. LPLDL has been found not only to reduce ‘bad’ LDL cholesterol by 13.9%, but also to boost ‘good’ HDL cholesterol by 4.5%. Unlike statins, which are often used to treat high cholesterol, clinical studies and widespread consumer use have shown LPLDL has no known side effects. The NutraIngredients Awards recognise the creativity and innovation that is forging the future of the nutraceutical industry. The finalists will be showcased on the NutraIngredients stand at Vitafoods Europe 2019 for three days in May and the winners will be announced and presented with their trophies at a glittering awards dinner on Wednesday 8th May at the Starling Hotel, Geneva.